Welcome to our Ellicott City location along Route 40 just before Route 29. 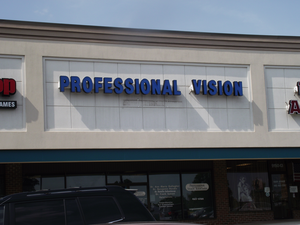 We serve all the local neighborhoods, such as Columbia and Catonsville, MD, and offer quality eyecare services to patients of all ages. Follow US-29 N to US-40 W/Baltimore National Pike in Ellicott City. Continue on US-40 W/Baltimore National Pike until you arrive to our offices which will be on your right. For those of you who remember, our practice is where Mars Supermarket used to be located. We're neighbors to the Bare Bones Bar & Grill.